New Delhi : One person was killed and six firefighters were injured in a blaze that broke out at the Trump Tower here, according to the New York City Fire Department. The fire, which spread to the 50th floor of the tower located on Fifth Avenue, was contained at around 9 p.m. on Saturday, about two hours after it was originally reported, the department tweeted. 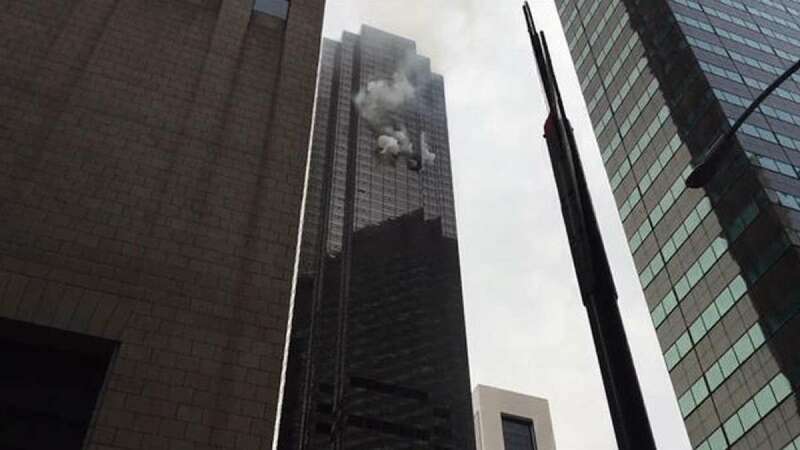 The person who died was a resident of the building's 50th floor who had been taken to the hospital in critical condition, department spokeswoman Angelica Conroy told CNN. The victim was a 67-year-old man who was unconscious and unresponsive when firefighters pulled him out, the New York Police Department said. The six injured firefighters had non-life threatening injuries, Conroy said. The cause of the fire is yet to be determined and no members of President Donald Trump's family were at the tower during the blaze, Fire Commissioner Daniel Nigro said. President Trump tweeted before the news of the death that the fire was out and "very confined" in the "well built building" and congratulated the firefighters. Saturday's incident comes three months after a minor fire broke out in a cooling tower on the roof of the building, CNN reported. Two people were injured in the fire that officials said may have been caused by electrical heaters inside the cooling tower.